By taking a high-cost drug with a low-fat meal–instead of on an empty stomach, as prescribed–prostate cancer patients could decrease their daily dose, prevent digestive issues and cut costs by 75 percent, according to a new study in the March 28, 2018, issue of the Journal of Clinical Oncology (JCO). "This schedule is not only inconvenient for patients, it's also wasteful, in several ways," said the study's lead author, Russell Szmulewitz, MD, associate professor of medicine at the University of Chicago and a prostate cancer specialist. Abiraterone, approved in 2011 for the treatment of metastatic prostate cancer, has a "food effect" that is greater than any other marketed drug. The amount of abiraterone that gets absorbed and enters the blood stream can be multiplied four or five times if the drug is swallowed with a low-fat meal (7 percent fat, about 300 calories). That can increase to 10 times with a high-fat meal (57 percent fat, 825 calories). The researchers found that the lower dose with breakfast kept the disease under control as well as the recommended dose. Abiraterone's ability to lower levels of prostate-specific antigen, a surrogate marker for prostate cancer, was slightly greater for patients in the low-dose with food group when measured at 12 weeks. "The patient gets a simplified schedule, slightly more control over his daily life, the convenience of eating whenever he chooses and the opportunity to share the cost-savings with his insurance company," Szmulewitz said. "Taking this medicine while fasting is wasteful." "Although it should be validated with a larger trial with more robust clinical endpoints," he added, "given the pharmacoeconomic implications, these data warrant consideration by prescribers, payers and patients." "If this study were enlarged and repeated successfully, the resulting cost saving would be in the billions of dollars," according to Allen Lichter, MD, author of a related commentary in the JCO, former CEO of the American Society of Clinical Oncology and board chair of the Value in Cancer Care Consortium (Vi3C). 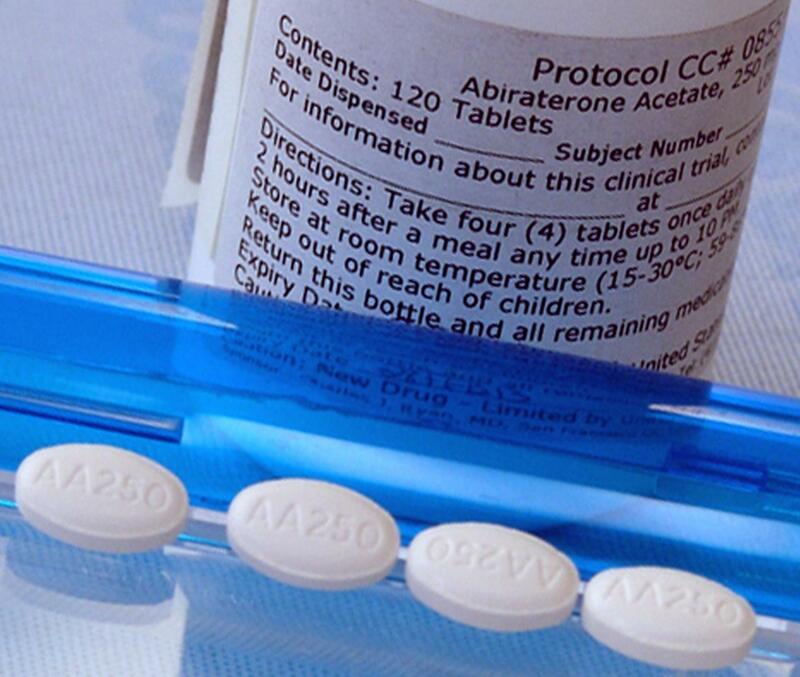 Abiraterone, taken with prednisone to prevent side effects, "represents a new standard of care for metastatic disease," according to a recent review article in the New England Journal of Medicine. The authors were concerned, however, that the "duration and cost of treatment may influence clinical decision making." At a per-patient cost of about $10,000 a month, "this is a textbook example of what we now call 'financial toxicity'," Ratain said, referring to the economic burden placed on patients by the high cost of care. "At least three-quarters of this expensive drug is wasted," he added. "It's excreted and flushed away."